Driving a motorcoach can be a rewarding occupation, especially if you love people and travel. If you have given thought to becoming a motorcoach driver but aren’t sure if you have the right stuff, here are some of the top customer service skills and qualities that great motorcoach drivers strive for. 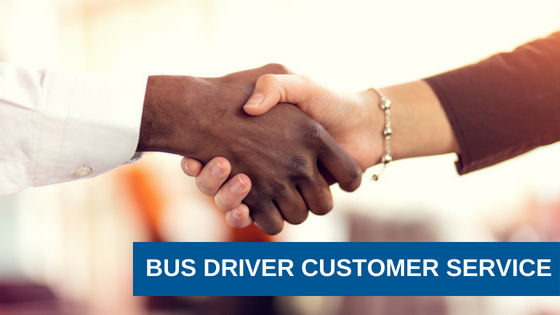 Assertive, but respectful leader: Having the ability to manage others so that you maintain both their respect and compliance with the rules is key to every successful motorcoach driver. Just like a boat captain, a motorcoach driver is responsible for explaining the rules and enforcing them so that everyone stays safe. If you have managed others at work, on a sports team, or even in a volunteer capacity, you may already have some of the leadership skills required to give you a leg up on becoming a motorcoach driver. Increases oxygen intake and stimulates organs and circulation. Causes your stress response to go up and then down, leaving you relaxed. Laughter is also contagious, helping to bring people together, build relationships and create memories. In this world of screens and headphones, actual conversation that elicits a smile, or even better, a good laugh, can really make the ride more enjoyable. Calm under pressure: Needless to say, being a professional motorcoach driver will not always involve sunny days and dry roads; this is Michigan after all. Nor will every trip be flawless and filled with happy-go-lucky riders. Life happens and people get sick, traffic backs up, and roads get icy, so being able to keep a cool head when things get crazy — or even dangerous — is an essential trait. Your ability to assess the situation and make quick, intelligent decisions will show your passengers that there is nothing to worry about; you know what you’re doing. When you’re responsible for the safety of others, being able to avoid panic and make smart decisions under pressure can be a trip saver and maybe even a life saver. Prepared and dedicated: When others are depending on you to get them somewhere safely and on time, being prepared is key. Preparation means knowing where you’re going, understanding the best routes, checking weather forecasts, not to mention having a spotless and well-maintained bus at the pick-up point on schedule. That preparation exemplifies how dedicated you are to your job just as much as how you treat passengers. Good communicator: When you’re in charge of a bus full of people, you will be expected to be capable of communicating specific messages (i.e., free water is available up front, the bathroom is in the back, etc.) and answering questions passengers may have about the route, timetables, stops and other information. Every trip is a little different, but drivers should always be prepared to communicate their message clearly, cheerfully, and in some cases, calmly. Driving a motorcoach is a fun job with a lot of variation. If you’re up for the challenge and can look forward to each trip like a new adventure with new friends, Indian Trails wants to hear from you. Find out more about careers at Indian Trails and apply today!